Straight feed slicer for sausages. Blade Diameter 350 mm. With a double sliding plate and a jointed handgrip . 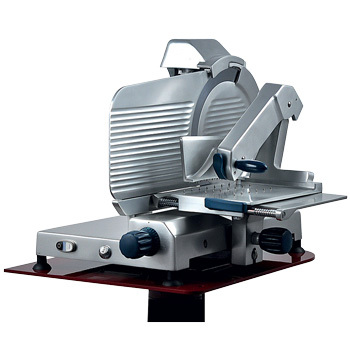 It has a very big cutting capacity and it is particularly suitable for cutting big sausages and “prosciutto”. It has a mechanical sharpener that sharpens the blade easily and quickly. Ideal for supermarkets, butcher’s shop and delicatessen. 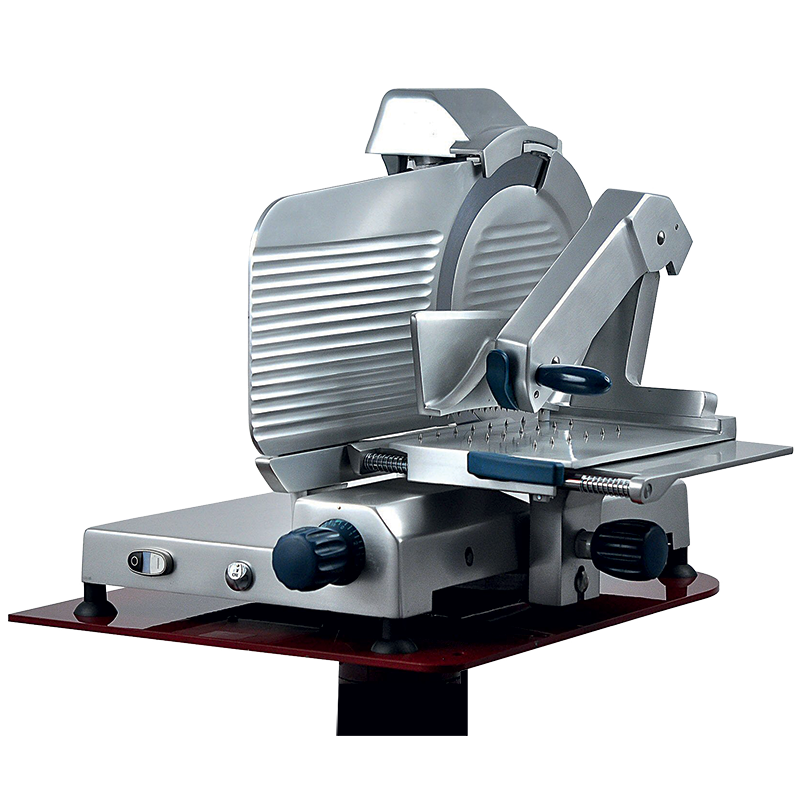 Straight feed slicer for sausages. Blade Diameter 350 mm. With jointed handgrip.